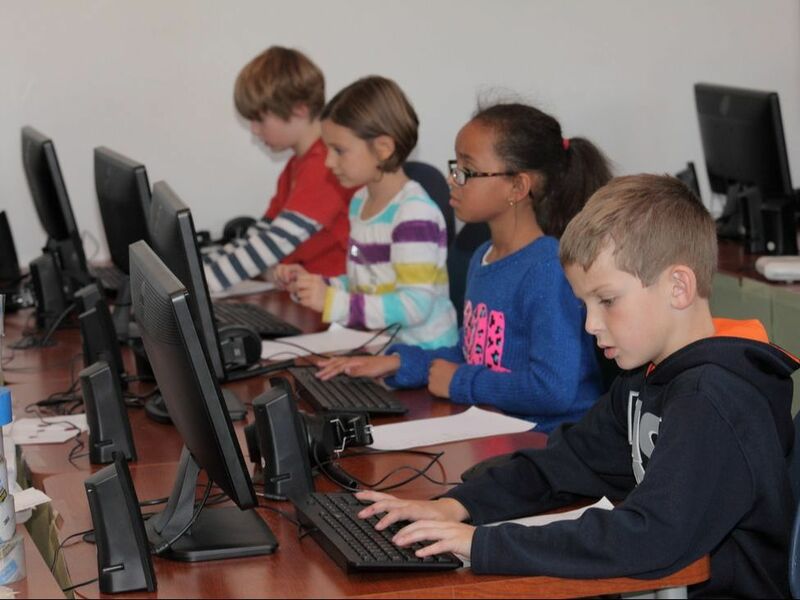 Students invited their parents to come to school to help design marble mazes, engineer boats, and work on their Flip-grid digital projects. The middle school students spent their free time on their independent, hands-on projects. 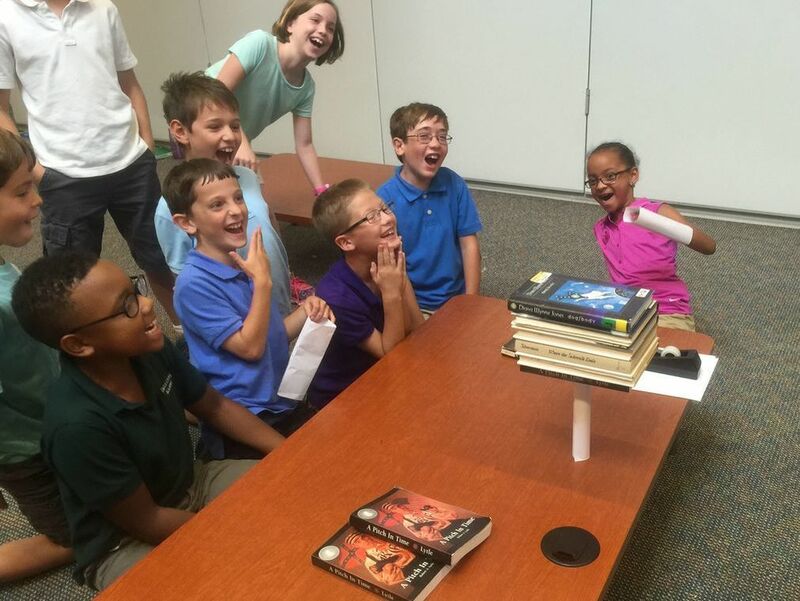 The fifth graders used prototypes to test their designs until their products finally met the requirements. 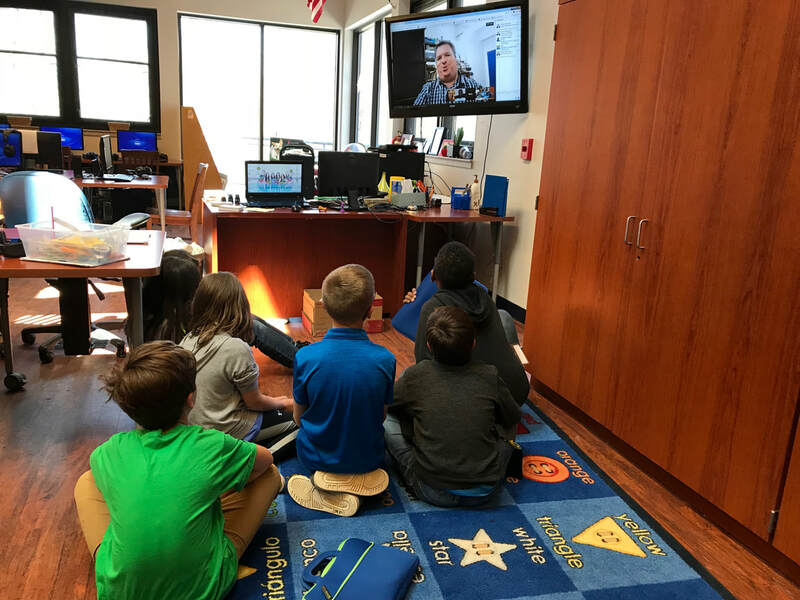 The fourth graders participated in a live, online interview with a National Geographic explorer who is a paleoanthropologist named Ella Al-Shamahi. She talked to us from London, while the host, Mr. Steve, joined us from South Africa. 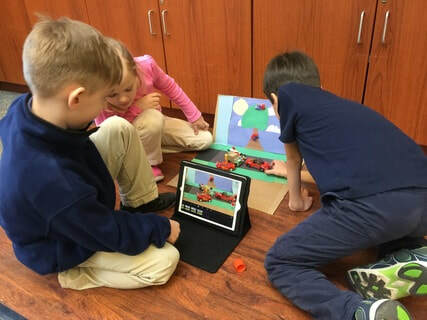 The students made predictions and formed conclusions about how fast a car will go down an inclined plane depending on the plane's form, height and surface material. Later, the children turned their data into graphs. We folded paper into differently-shaped columns and experimented to see which one would hold more weight (triangular prism, rectangular prism, or cylinder). Using one sheet of paper and 2 tiny pieces of tape, the children got the cylindrical column to support 9 hardcover books! The first graders worked in small groups to create three-legged "doodle bots." They experimented with different materials to make a propeller that would make the bot jump, wiggle and doodle. The children chose the materials and decided how to attach them to the motor to get their bot to groove. They noticed that some materials were too light or too heavy, and that if the battery was tired, their bot would not dance. Using two plastic cups and a sheet of paper, the students built bridges. As a part of the experiment, they formed the paper into different shapes and tested each shape to see which one made the strongest bridge. 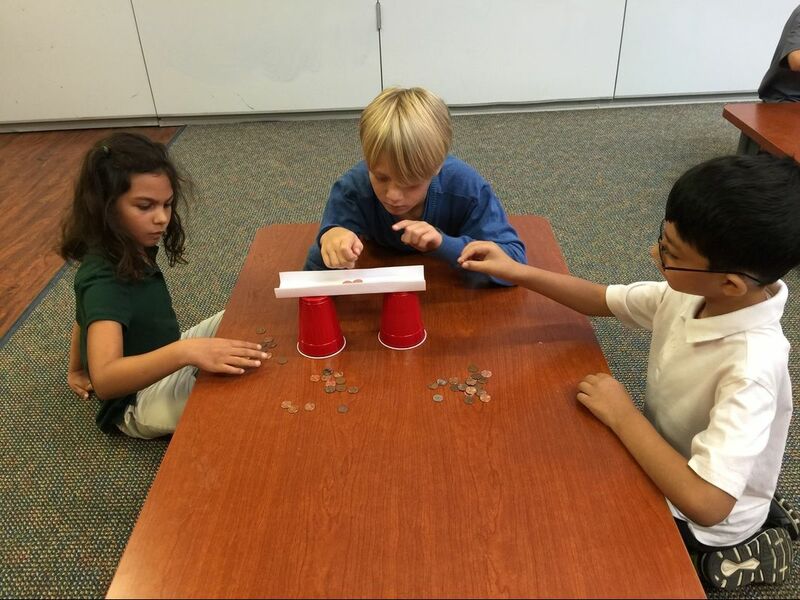 They tested the shapes by placing pennies on the bridges until they broke. The students concluded that the triangular-shaped bridges were the strongest. The groups created quick stories with a beginning, a middle, and an end. Then, they molded figures from clay and had the figures act out the story. As they placed each figure in its next spot, they took its picture. They repeated this until they had a series of pictures to tell the story. Finally, they ran the pictures together to make a "stop- motion" movie. Students in 5th to 8th grades worked in small groups to replicate a structure. Then, one team member had to view the structure and explain how to build it. The challenge was in explaining how to do it using words only. Universities across the country are incorporating "maker spaces" into their technology buildings. 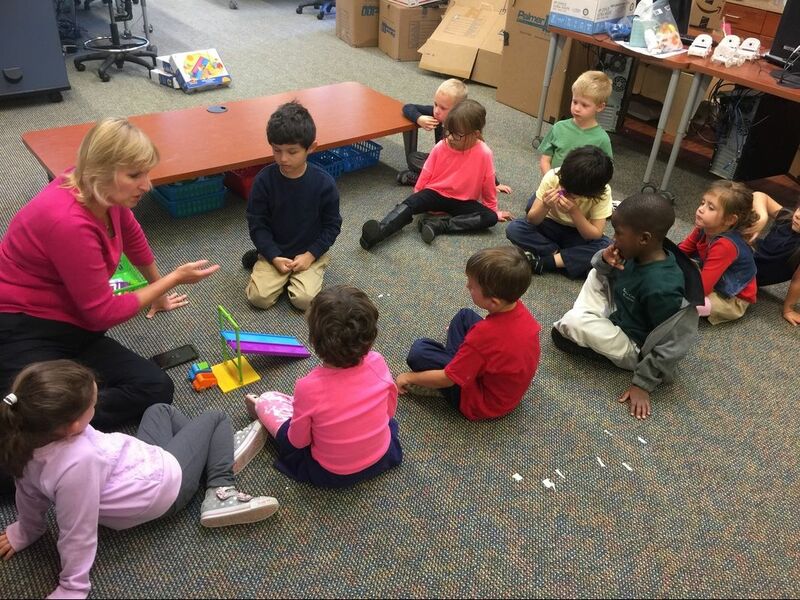 Students use the space to make assigned projects or create and have fun. 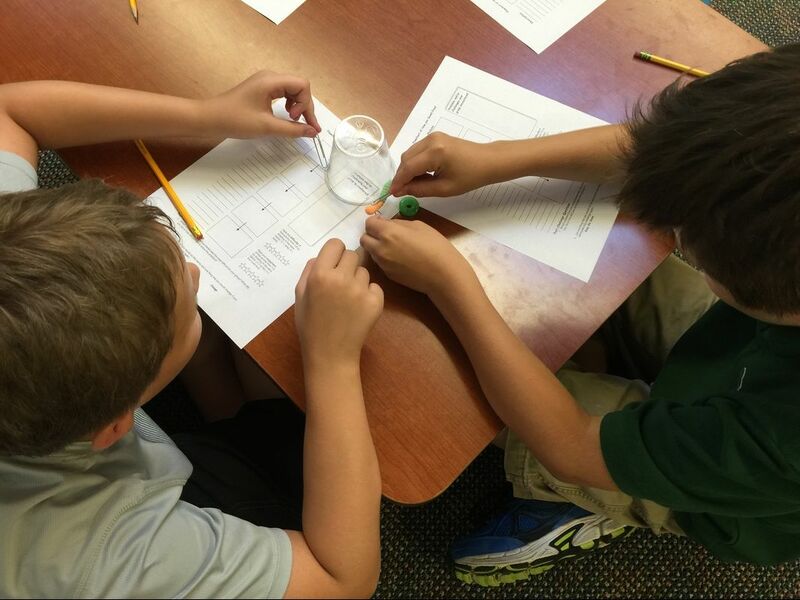 In our maker space, our fourth graders used Strawbees to practice engineering concepts. After researching catapults and how they are built, the children built mini-catapults that could throw little candy pumpkins. Later, the children's families came together to build adult-size catapults to throw large pumpkins. We called it "Chunk'n Punkins" and invited the whole school to watch. The students had to save Fred the Worm from drowning by building him a raft. While each group created its raft, the children created a flowchart of the process, including the challenges they faced. 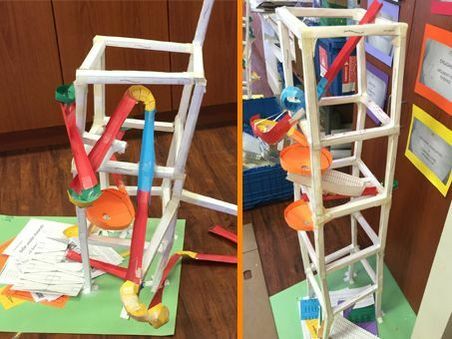 Students created paper roller coasters and calculated the potential & kinetic energy of rolling marbles. Later, we went on a field trip to Cedar Point, where we took a class on the engineering behind roller coasters. We learned about debugging when we played a relay game in which students wrote one line of graph code at a time, then debugged the mistakes their teammates made. We want all our students -- including the youngest ones -- to practice finding answers for themselves. Watch this quick video as some Kindergarten students figure out how to close a circuit to make a light go on. A group of National Honor Society students from Lake Orion High School helped this year at our annual STEAM Recycled Fashion Event. The event happened after school from 3:30-6:30. All the participants had a fabulous time. to use a power drill and a sabre saw. 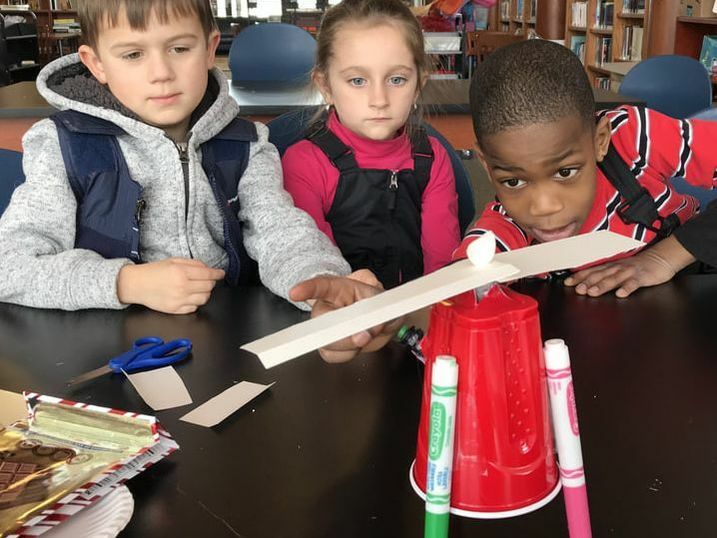 This activity helped the the Destination Imagination team as they worked through the challenge of creating a vehicle that could carry a student across the gym.